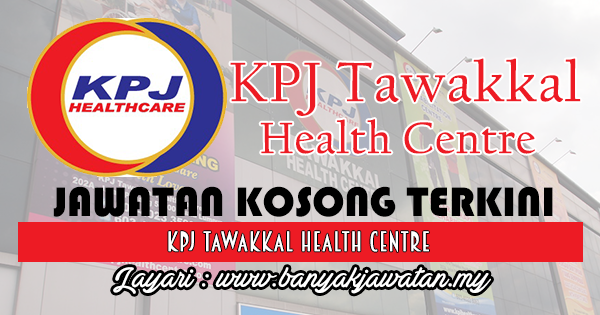 Belonging to KPJ Healthcare Berhad, Tawakkal Health Centre (THC) is an ambulatory care centre situated along Jalan Pahang in the building formerly occupied by Tawakal Hospital. We are offering the following services : Dialysis, Dental and consultant specialist services. Soon we will offering services such as Dianostic Imaging, Pharmacy, Rehabilitation and Ophthalmology. At Tawakkal Health Centre, we believe in constantly motivating and developing our work force. We are looking for experinced and talented individuals to join our team. 0 Response to "Jawatan Kosong di KPJ Tawakkal Health Centre - 22 November 2017"